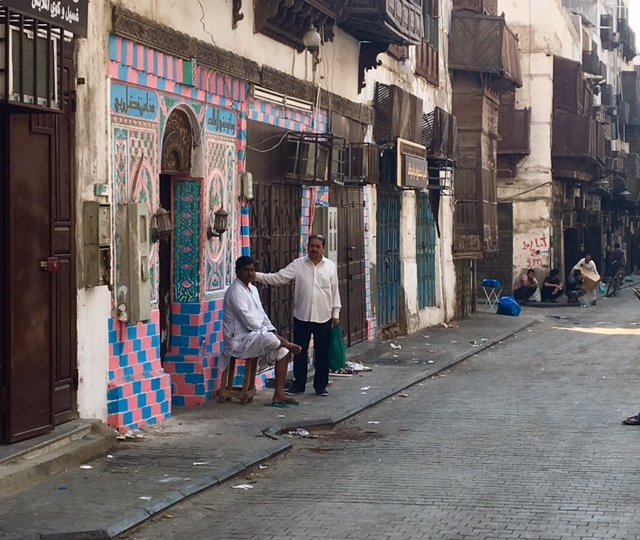 Walking in Old Jeddah (also known as Al-Balad) is like going back in time, but strangely that time really isn’t all that long ago. 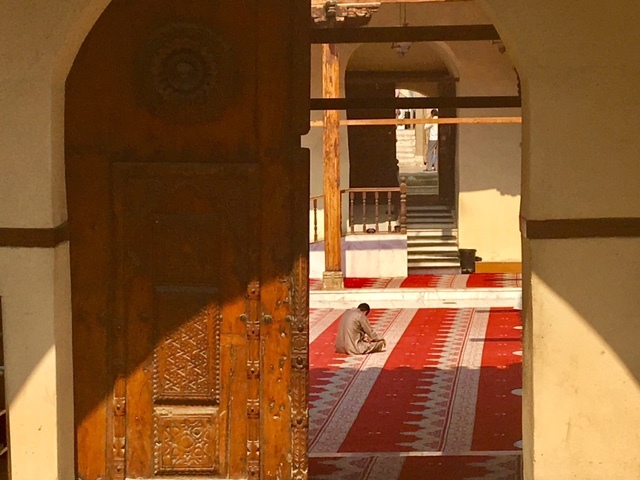 While parts of it were built in the 7th Century as a route for the pilgrims on their way to Mecca, other parts were built just a 100 years ago. The harsh weather and sea air in the area has left many of the buildings in ruin, but they are still charming in their own way. Most of them were constructed out of bricks of coral showing how the people of the time used what was available in the area – or in this case, the sea – for building supplies. 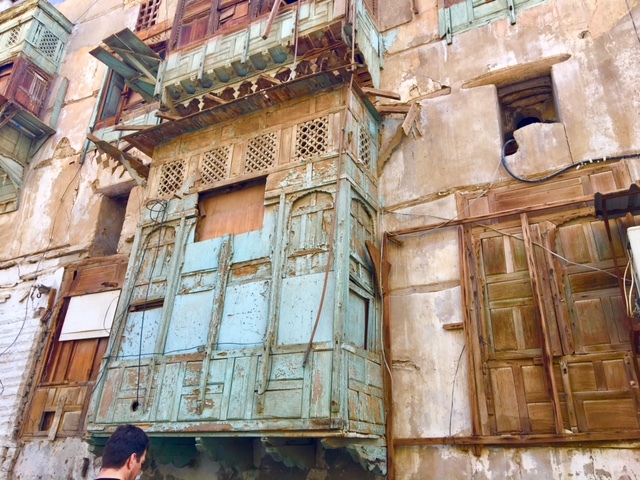 The shutters also were constructed in such a way that they hid the women while still allowing a breeze to flow through the homes to keep them cool during the hot summers in the area. 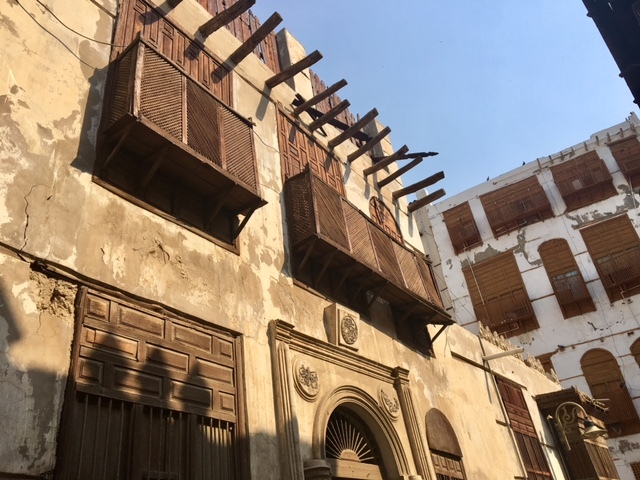 As Jeddah grew in size and in wealth, many of the residents moved out of the old town and into the newer homes in the North. 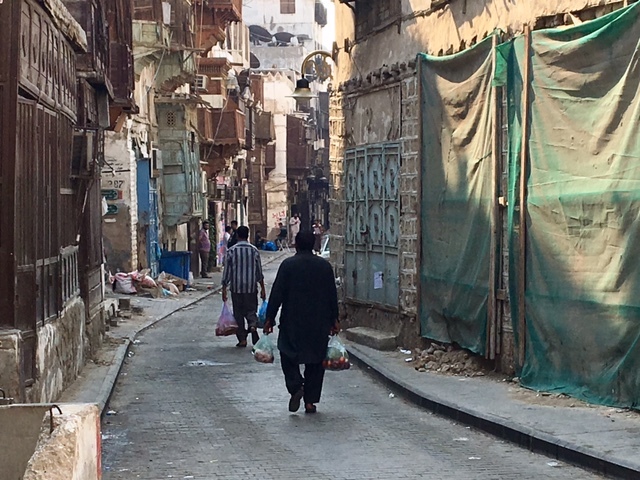 But still Al-Balad is bustling with life in the late afternoons. 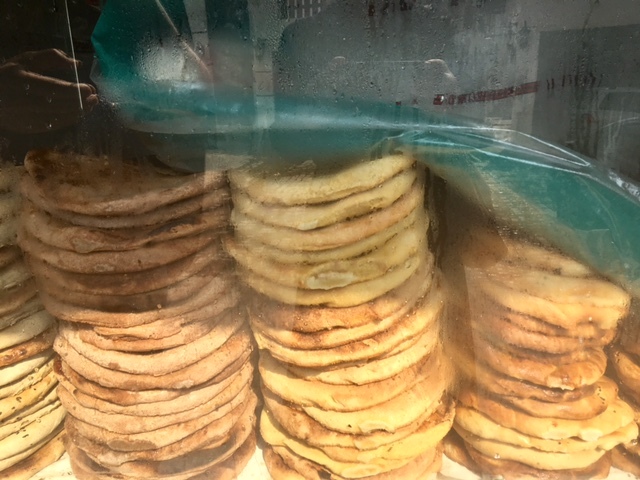 The mosque is the oldest one in the city and still widely used, and the bakeries, fabric shops and other stores are also visited by the locals. And many of them have been there for generations and carrying on the traditions of the ancestors.